Goals for the 2018 MX/OS Season: get back to racing since i took a pause for 3 months. im 16 number 32 and looking for a team I have good speed and just am looking for a team to race for the 2019 season private message me!!!!! Goals for the 2018 MX/OS Season: Finish top 10 in NA Ams SX points and be a consistent main guy. 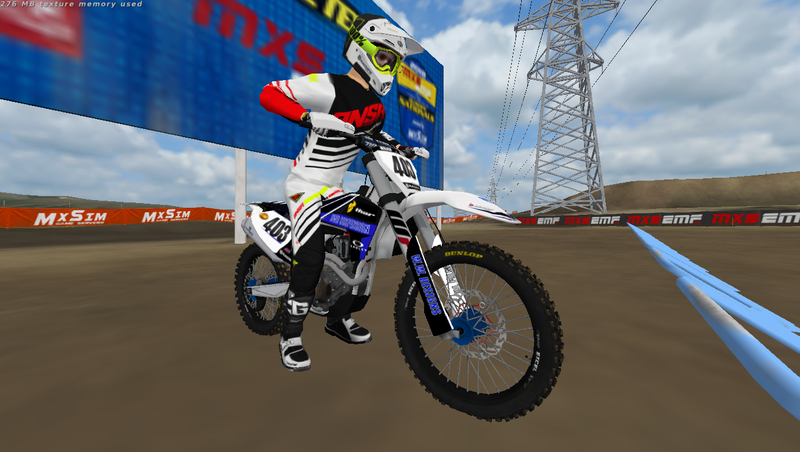 Do you have any additional talents: Screenshots, modeling, graphic designing, knowledge of suspension, etc: Take decent screenshots and know to do the basic bike skins and gear skins! EBR IS LOOKING FOR RIDERS. WE WILL BE RUNNING FOX GEAR AND HUSKY BIKES FOR THE 2019 SEASON.